Sitting here pondering the future of aviation and a new course for Lee Bottom, one which will be required for long term survival, I can only think of the many amazing people this place has brought into our lives. As most of you know, each year we send out our limited edition calendars to 1500 people around the world. Treated as a fundraiser, the responses we receive in return equate to some of our best memories. For weeks and months after the calendars go out, a stack of notes from our friends grows. Every time I come home, it’s a little taller. Eventually though, but not before we’ve sat down to read them all, the letters go into a box of memories. Many of these notes thank us for our efforts to keep the airport alive and well; some of them are personal letters from close friends far and wide who we rarely get to see but wish we could; there’s always a bunch of them expressing a desire to someday visit the field the authors have heard so much about; and then there is a growing percentage of letters sent from surviving spouses to let us know how much their husband or wife enjoyed their time at Lee Bottom. The latter ones are not only heartbreaking but almost always somewhat of a shock since we obviously did not know this airport family member had passed. With so many facets of aviation covered by our airport family we never really know what to expect. Yet, when all the letters have been read and their messages fully absorbed, one thing we can count on is a renewed desire to secure the future of Lee Bottom. Thanks to all of you who’ve maintained your love of aviation in the face of so much anti-aviation adversity. We hope this little, lush, green, flying field in the middle of nowhere feels to you like the safe haven we’ve attempted to create. You are the reason we’re here. 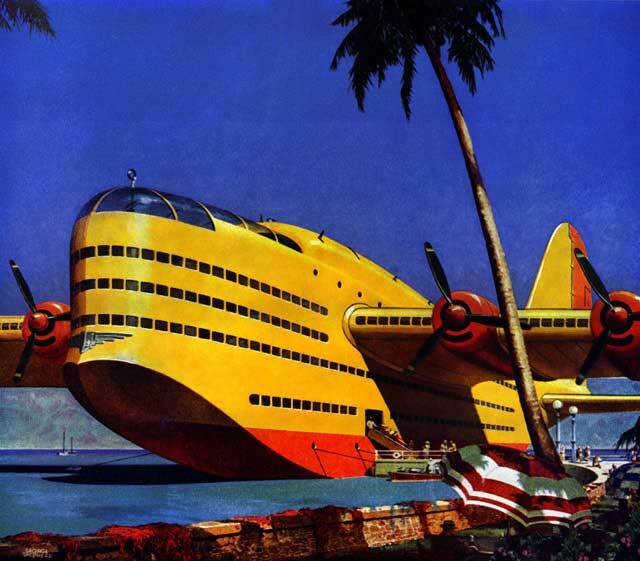 Once upon a time, this was the predicted future of aviation. I guess my simple thoughts are can you financialy keep lee Bottom? If the answer is yes, then my suggestion is to keep it and keep the various fly-ins, however small. Don't get wrapped up in growth or having a DC-3, B-17 or whatever big twin the field can accomodate. Just enjoy a fly-in for what it is, regardless of size. What you and Ginger have there is special. If you can't financially keep it without big blow out fly-ins,, then I suppose the future is set. I guess what people continue to miss is that this is what it takes to have an airport. People are always concerned about the closing of airports but they never think of what it actually costs to keep open. We could make it private, keep everyone out, and make it much cheaper. But, the contributions have always been about keeping it open to the public. Thanks for commenting. Take care. Two weeks ago I held a 3 day fly-in that saw 27 airplanes over the 3 days. At the end of it I was beat. Have no idea how you have been able to do what you have for so long.